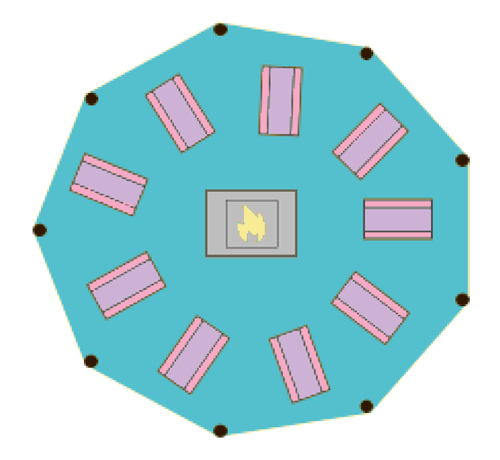 Floor Plan example for 1 Giant Hat Tipi 72 seated guests with 8 guests per table, including Bamse Maxi Fire. 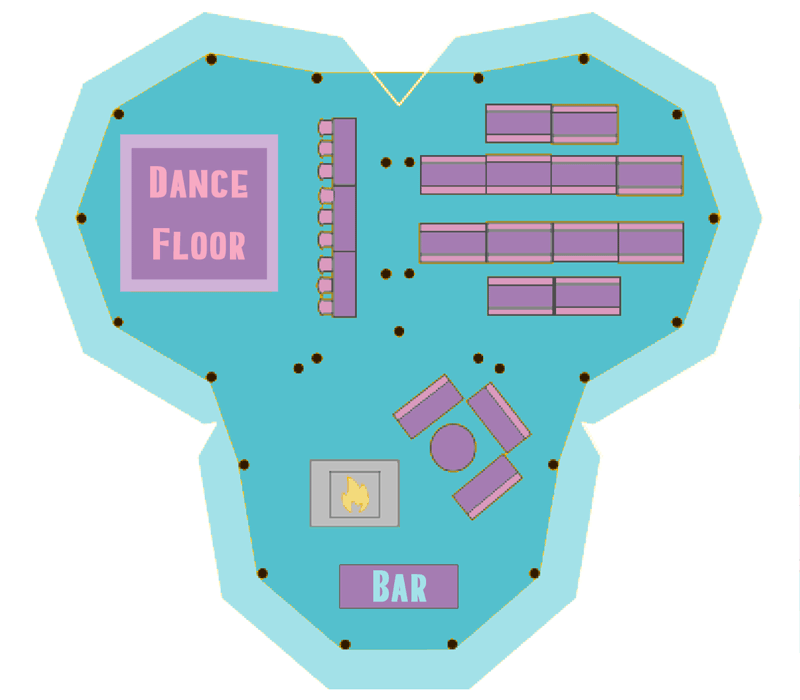 Floor Plan example for 2 Giant Hat Tipis 88 seated guests with 8 guests per table, including Bamse Maxi Fire and 12×12 dance floor. 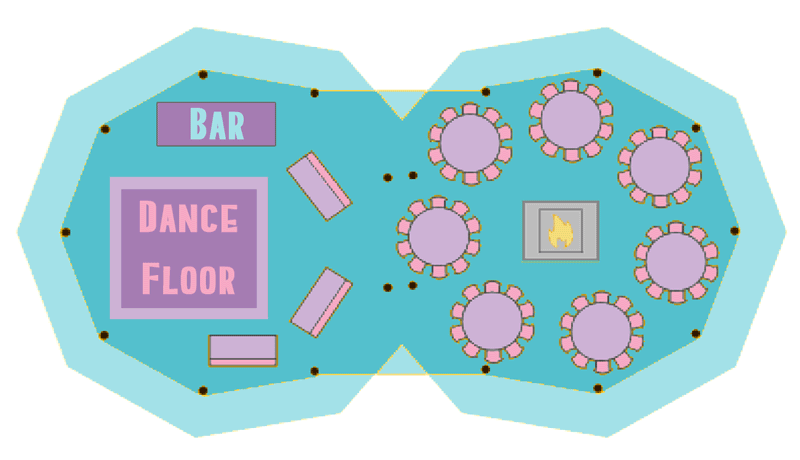 Floor Plan example for 2 Giant Hat Tipis 70 seated guests with 10 guests per table, including Bamse Maxi Fire, barrel bar, 3 bench relaxing area and 12×12 dance floor. Floor Plan example for 3 Giant Hat Tipis (arc) 150 seated guests with 10 guests per table, including Bamse Maxi Fire, barrel bar, 4 bench relaxing area and 12×12 dance floor. 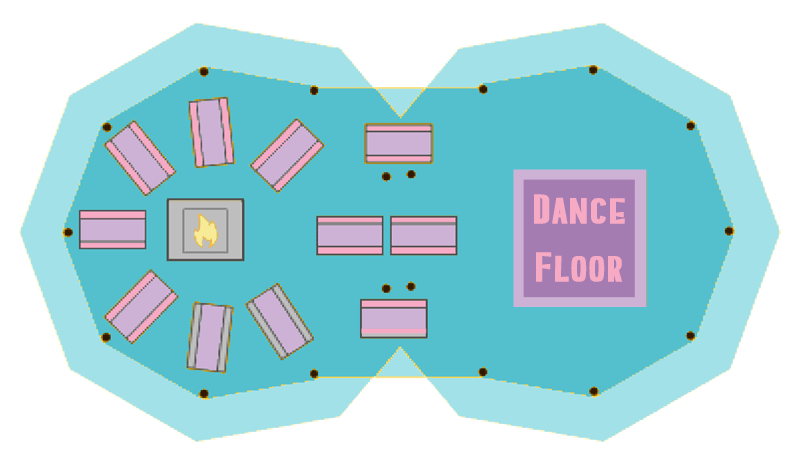 Floor Plan example for 3 Giant Hat Tipis 105 seated guests with 8 guests per table, including Bamse Maxi Fire, barrel bar, 3 bench relaxing area with center table and 12×12 dance floor. 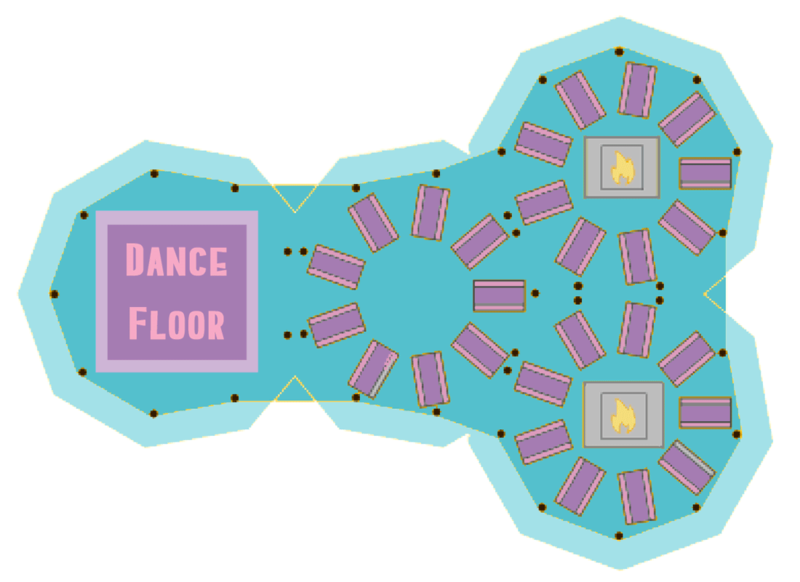 Floor Plan example for 4 Giant Hat Tipis (Y Shape) 162 seated guests with 6 guests per table, including 2 Bamse Maxi Fires, and 15×15 dance floor. Floor Plan example for 4 Giant Hat Tipis (straight line) 129 seated guests with 8 guests per table, including 1 Bamse Maxi Fire, barrel bar, 4 bench relaxing area and 12×12 dance floor. Floor Plan example for 4 Giant Hat Tipis (arc) 120 seated guests with 10 guests per table, including 1 Bamse Maxi Fire, barrel bar, 4 bench relaxing area and 15×15 dance floor. The number of Tipis you have will depend on your guest numbers and additional extras you want to add in to make your occasion amazing. Those drinks aren’t going to serve themselves! So let us help you by providing one of oak barrel bars, as long or as short as you like, alternatively we have our rustic reclaimed oak bar, a thing of natural beauty. Fire up the band or get the DJ to drop a beat, you can’t go wrong with one of our wooden dance floors. As if your guests would need any encouragement, but if they do, our giant mirror ball will help them get in the dancing mood. If you’re looking for additional fairy lighting or down lighting then look no further, we have you covered. It’s all about your big entrance, lets make it a special one, our festoon walkway consists of 6 large shepherds crooks strung with globe lanterns and 10m of external matting. Don’t forget the food! We can provide your caterers with a catering tent complete with flooring and lightning. Time to power up, let us know if you need power to your party and we will provide you with a generator quote. We can organise your luxury loo’s for you, it’s a dirty job, but somebody has to do it!